Myth: You need pills, alcohol or maybe even a doctor’s help in order to sleep well. Fall Asleep Seconds After Your Head Hits The Pillow And Remain In A Deep, Restful S﻿lumber﻿ ﻿T﻿ill You Wake Up Refreshed And Full Of Energy! Re: Sleep at Will…a better life on the other side of the pillow. Sleep is something most people will struggle with at some point in their lives. We live in a fast paced, 24 hour news cycle, frenetic kind of world, and eventually the pace catches up to you and interrupts your rest, your sleep. This program is something I’ve worked on and wanted to put together for a very long time. It’s something that really and truly works to give you the easiest, fastest route to naturally falling asleep… and staying asleep… that I’ve ever seen. The root word “hypnos” from the Greek… means sleep. Literally. When someone is hypnotized, it looks like they are sleeping. That’s where we get the word we use today. So if we know why we’re not sleeping… what do we do about it? I'll show you how to re-wire your life long programming using the same techniques I use when I hypnotize somebody. The very same techniques I also use on myself. Bye bye pills, booze, fattening after hours food. No more poor habits, poor programming, poor sleep. You’ll literally be able to sleep within minutes of your head hitting the pillow… with no outside influence at all. Just like real debt, sleep debt adds up fast and costs you more in the long run than the initial expense. Once you’ve been sleeping well and rested for just a short period of time, you’ll realize what you’d been missing all along. Your debt will be erased… and you’ll be free! Energized! Normally I would meet with a client individually, and there would be an hourly charge for my services. 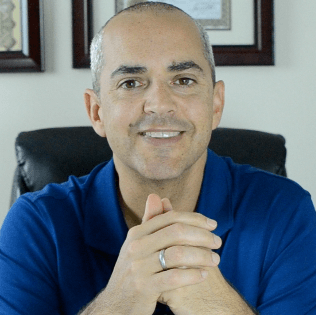 The number of hours would vary by the individual and their dedication to the program.With this approach, I would be severely limited in my reach to potential clients… and many of you would miss out on this program. SPECIAL OFFER: Get the entire Sleep At Will Program right now and pay $49.95 JUST $27. But, you must act now because this discount offer EXPIRES SUNDAY NIGHT. Your purchase is risk-free. If you listen to this program and use the techniques in it, I guarantee that you will be able to achieve a deeper level of sleep at will. If you don't, simply let me know within 60 days of purchase and I'll refund you,no questions asked. 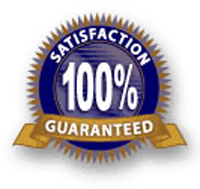 The guarantee is simple-You'll sleep better or you don't pay anything. P.S. - Every night that you toss and turn and fight to go to sleep instead of using these simple, guaranteed techniques is another day you're not living up to your potential.